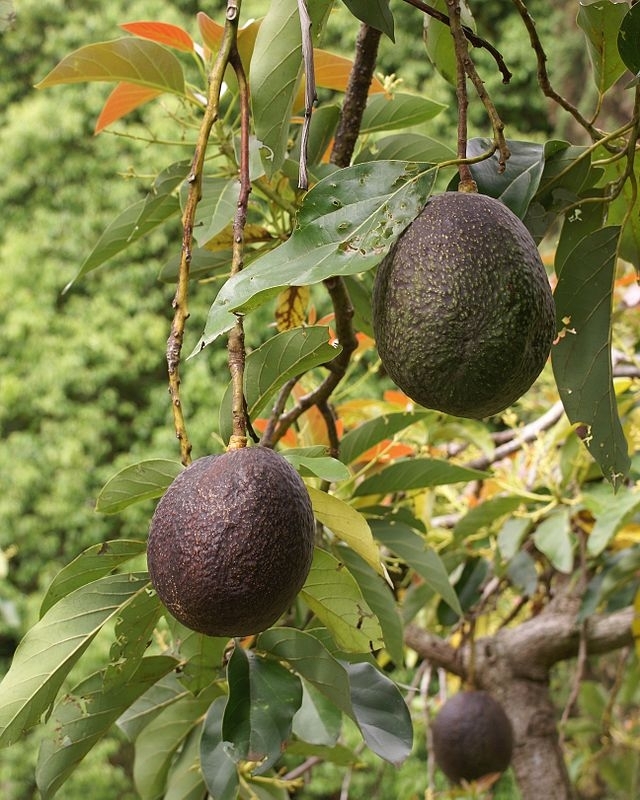 Planting avocado trees closer together nearly doubles yield, UC ANR advisor Gary Bender found. The California avocado industry is getting much-needed hope from results of a UC Agriculture and Natural Resources (UC ANR) study on high-density planting, reported Lesley McClurg on Capital Public Radio. One farmer featured in her report said, because of the drought, he is paying $1,600 per acre-foot for water, an all-time high. Gary Bender, an advisor with UC ANR Cooperative Extension in San Diego County, believes that increasing per-acre yield will help farmers stay in business. “We've been growing avocados wrong all these years and we're finally starting to figure it out," Bender said. He planted trees 10 feet apart in a research trial, instead of the standard 20 feet spacing. Instead of letting the trees grow tall, the standard practice, he pruned them regularly to keep the trees short and fat. The study was a huge success, yielding nearly 13,000 pounds of Haas avocados per acre, McClurg reported. Usually farms in the area yield between 6,000 to 7,000 pounds per acre. I'd like to know more about pruning them to be short and fat. My research indicates the conventional thought is no pruning is best because the fruit is produced on new growth.